I fully share the anguish of so many people over the madness of Brexit. All the evidence points to not leaving the EU, and the reasons given for leaving are generally vague or false. The vote on which this crasy policy is based was deeply flawed. As an economist I can clearly see the damage Brexit is doing and will do. While I could see the rationale for Labour’s triangulation strategy over Brexit before and immediately after the 2017 election, during 2018 as public opinion began to move it stopped making sense in electoral terms, and of course their policy often appeared unicorn-lite or, more realistically, close to a policy of Brexit in name only which only gives away control. The new party that will surely follow the formation of the Independent Group, if it continues to promote a People’s Vote, should be quite attractive to people like me. But I’m in the more uncommon position of having been in the similar place twice before in the last decade. The reason is very simple. I have been all my life a macroeconomist, and for the last twenty odd years an academic. That gave me a perspective on 2010 austerity and the 2015 election which was largely absent from the popular debate. As a result, I can see that Brexit was not an isolated event, the result of one bad decision by Cameron, but part of a pattern suggesting deep problems with how UK politics works. Understandably, most people are against austerity because of the impact it has had on those in need who depend on the NHS, local authority care and the welfare state. They are also now seeing its impact on schools, on our justice system and much more. But that still leaves open the idea that somehow austerity was necessary for the good of the economy as a whole. As Conservative politicians never tire of saying, they came into office in 2010 with the country on the edge of a crisis created by the previous Labour government. As an academic macroeconomist I know that is completely false. Pretty well every first year undergraduate textbook tells students why in a recession you need an expansionary monetary and/or fiscal policy and you should ignore the deficit. When interest rates run out of road, as they had in the UK by 2009, then fiscal expansion was vital. One of my own specialist fields is fiscal policy, so I also know that state of the art models also suggest exactly the same thing as the textbooks. The insights of Keynes that have been accepted by most academics ever since remain valid today. It is this received wisdom that the UK followed in 2009 before the Coalition government came into power. Just as many feel that Brexit makes no sense, I felt that austerity which started in 2010 went against all our knowledge and evidence. The one doubt I had was that an irrational financial market might suddenly stop buying UK government debt, but this was dispelled when I realised the Bank of England’s unconventional monetary policy of buying government debt to keep interest rates low (Quantitative Easing) would quickly kill any panic. That analysis begins my book based on the blog I started as a result of austerity. Just as both main political parties now support some sort of Brexit, so both at the time supported austerity, with the argument being over how much, how quickly. Neither the Coalition nor the opposition argued for the right policy, which is to delay fiscal consolidation until the recovery was underway and the Bank started raising interest rates. Experts on trade or the EU Brexit negotiations are infrequently heard in the media, but they were almost never seen over austerity. My point in making these parallels is that evidence based policy making on major issues didn’t end with Brexit, but six years earlier with austerity. In both cases these are policies that create great harm to all, and acute harm to many. I calculate austerity cost the average household £10,000, and NEF using similar methods get an even larger figure. 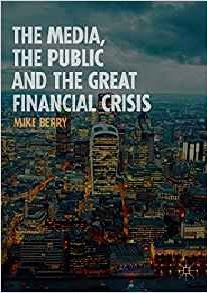 No government since the war, including those of Thatcher, has embarked on prolonged austerity during an economic recovery, and so it is no surprise we had the weakest recovery for centuries. Brexit is therefore not the exception in a period of otherwise normal government. If you ask why Brexit happened, it was not that David Cameron made one mistake in an otherwise capable period as Prime Minister. There is evidence that austerity encouraged the growth of UKIP and by implication the Brexit vote. I remember often hearing people in areas that are described as ‘left behind’ dismissing the economic impact of Brexit by saying things could not possibly get worse than they are now. But austerity was not the main cause of why Brexit happened. To see what was we need to look at the second period where I felt similar to how I feel today about Brexit, and that was the run up to the 2015 general election. Political commentators had decided from polling that the economy was the Conservative’s strong point, indeed perhaps their only strong point going into that election. To a macroeconomist that made no sense. Not only had we had the worst recovery for centuries but real wages had suffered their worst fall since records began. The government extolled record employment growth, but given the slow recovery they were in reality just celebrating the flatlining of UK productivity that was a key factor behind falling real wages. Economists like David Blanchflower, John Van Reenen and myself set out just how bad UK economic performance had been over the previous 5 years, but once again expertise was ignored. As far as the media were concerned reducing the deficit had become the most important priority for the economy, and that was how they judged politicians. You will not find that in any textbook either, but the media had either sold or been sold a narrative and they didn’t want to know any different. That narrative said that the Coalition had brought down the deficit that the previous government had allowed to grow out of control. Of course in reality the worst recession since the Great Depression of the 1930s caused by a Global Financial Crisis had pushed up the deficit, but the media had pushed, or accepted, the idea that the Coalition was clearing up the mess that a profligate Labour government had left. I had written a paper on fiscal policy under the Labour government and there was no way they were profligate, but because Labour didn’t challenge the accusation the media accepted something as true that was obviously false. To the media the fact that the Conservatives were thought to be strong on the economy only confirmed their narrative. In reality the causality was the other way. There is a growing literature identifying the power the media has to influence elections and shape popular narratives. The 2015 election was a precursor for Brexit in three important ways. First, and most obviously, the media helped elect a Conservative government that was committed to an EU referendum. Second it showed that politicians could tell huge lies and get away with it. Finally it showed the power the media had to influence a popular vote. Brexit would not have been possible without the UK media. A large part of the press pushed anti-EU propaganda, and the broadcast media balanced the view of the overwhelming majority of experts against the lies of a few. Viewers desperately wanted information, and the broadcast media gave them politicians rather than experts and balance rather than facts. Fear of immigration was important in deciding how many people voted, and it was the right wing press that had since the beginning of the century pushed countless negative stories about immigrants. Although austerity may have played a role, it was the media that played the major part in giving us Bexit. Although the Independent Group (IG) may have a more attractive policy on Brexit, and they will talk the talk on a broken politics, the group is made up of politicians who either believe their government did the right thing over austerity, or who in opposition urged accepting Osborne’s policy. Deficit obsession is damaging to the economy, but it also shuts the gate to so much else that needs to be done. It means the IG will be unable to undertake the far reaching and radical industrial policy that is needed to tackle the huge regional inequalities within the UK, and help those left behind that voted for Brexit. It means no Green New Deal. Although so far policy light, they have pledged to keep our current ‘free media’, which will mean they would do nothing to mend much of our dysfunctional press that acts as a propaganda vehicle for their owners, or a broadcast media that balances truth with lies and is largely expert free. I know it is a cliché but too many supporters of the Labour leadership, and perhaps the leadership itself, seem to have forgotten it. Labour is a broad church. It has to be a broad church if it is to be successful. It has to be a broad church when led from the right because otherwise the leadership drifts too easily into the centre or worse. Labour needs its left to stay honest to its principles. If Labour is led from the left it needs to be a broad church to win elections and avoid policies based on ideology rather than evidence. In other times Labour led from the left would need to be a broad church because otherwise the Conservatives would go for the centre ground and deprive Labour of the votes to win. Labour today does not face that problem, because the Conservative party is more right wing than at any time since WWII. Labour also had the great advantage that the only centre party around, the Liberal Democrats, are still struggling to shake off the damage their period in power did to their appeal. So the position Labour had was extremely favourable to a left led Labour party, and it has to be favourable because the media will always be hostile to it. It is also essential that Labour win the next election on a radical economic and societal programme of the type the leadership have put forward. If we continue with a deficit obsessed politics we will see standards of living in the UK continue to fall behind other countries, and we will not see the radical industrial policy that is required to revitalise some of the poorest regions in Western Europe. Nor will we see a genuine Green New Deal that will help us mitigate climate change if Labour do not form the next government. And without an outright Labour victory we will continue with a right wing press and a cowed BBC that has already given us Brexit and will continue to have a pernicious influence on the UK. The one threat to the advantageous position Labour had is the formation of a new centre party made up in most part of defections by Labour MPs. But even that would not be fatal to a Labour election victory if this new party appealed more to disgruntled Tory than Labour voters. So the task the Labour leadership had was to ensure that the appeal of any new party to Labour voters was minimised. With its Brexit policy the leadership, and more particularly the cabal around Corbyn himself, failed to do this job. What defines the new Independent group is their position on Brexit. I am fed up with supporters of the Labour leadership telling me that Remainers cannot be a strong political force because the LibDem vote is so low, when the same people take every opportunity to remind the LibDems of their record in government. The LibDems are still toxic for that reason, but a new anti-Brexit party is not, which is a big problem for Labour when the majority of the population now favour Remain to Leave. As I have written before, Labour’s stance on Brexit is a gift to the new party. It gives them a large pool of Remainers, many of whom were Labour voters in 2017, to fish in for support. This is but one of the many reasons why looking at the SDP for lessons is misleading. 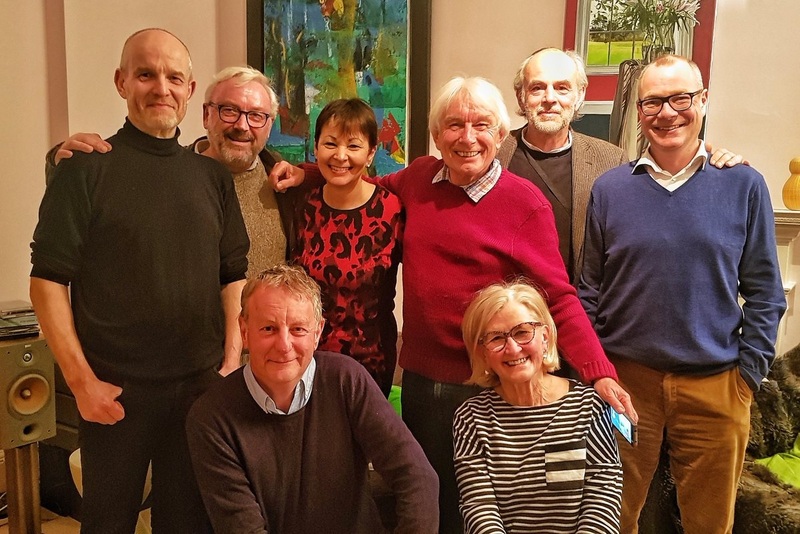 As Brexit is going to be a defining issue over the next four years, the new party could become a home for those who see Remaining or rejoining as their most important political priority. That is why the new party is a serious threat to Labour. For Corbyn to pledge that members will make party policy, and then ignore the view of the overwhelming majority on the most critical issue of the day, just reeks of hypocrisy. From the day the referendum was lost the signals he has sent have been clear. Owen Smith was sacked for suggesting a People’s Vote, yet nothing happens to those who vote against extending the Article 50 deadline. The final paragraph of a letter to the PM drafted by Starmer mentioning a People’s Vote gets left off ‘by mistake’. If Corbyn did not want to send out the message that he does not want a People’s Vote then he and his team are extraordinarily inept, and I do not think they are. *** The triangulation strategy, which was smart before the election of 2017, has now become an existential threat to Labour winning the next election. The Labour leadership have also failed to kill the issue of antisemitism within Labour. Much of this is because the media is hopelessly biased on the issue, and remain almost silent on the at least as important problem of Islamophobia in the Tory party. However given that this was always going to be the case, the leadership have not done enough to shake the charge of institutional antisemitism. Not adopting the IHRA definition in full was a huge tactical mistake. The party has done a lot to improve how it works, but disciplinary procedures seem to remain mired in controversy and delay, and there is more that the leadership could do. Which brings me inevitably to the attitude of too many supporters of the leadership. Because, for obvious reasons, Labour are so vulnerable on the issue of antisemitism, you do not attack those making accusations. It makes it appear you have something to hide. Unfortunately 30% of the membership cannot see that antisemitism is a real issue for the party and think it is entirely a media scam, which means they fail to tread carefully. At its worst this can amount to institutional antisemitism. Being a broad church means you have different opinions within that church, and those differences are respected. Yet too many leadership supporters regard criticism as treachery, and find it too easy to tell critics they should not be in the party. Indeed some are right now encouraging good Labour MPs to leave. They seem obsessed by criticising the previous Labour government, using Blairite as the ultimate form of abuse, and trying to purify the party in their own image. Just as the leadership were always going to be vulnerable to charges of antisemitism, they were also going to be charged with being a hangover from the early 80s Labour left. Yet rather than do all they can to distance themselves with this political failure, they seem to regard it with a kind of romantic attitude. How else can you explain letting Derek Hatton back into the party. It sometimes seems as if the party’s distaste for spin means they do not think about how the party appears to those outside it’s band of loyalists at all. Who knows what will happen in UK politics now. The new group could gradually fade away as voters get tired of Brexit or if there is a quick election, or it could completely change the shape of UK politics. The most likely single outcome, once you factor in media bias as you have to, is that they stop Labour forming the next government. If you think this post sounds unusually angry that is why. It is crucial that winners as well as losers learn the lessons of past conflicts, and the Labour leadership and its supporters did not learn the lessons of the vote of no confidence. Corbyn is not a natural manager of a large team, and that makes it all the more important that Labour policies keep the majority of MPs and members on board. The current Brexit strategy fails to do that. The smartest move that Corbyn could make right now would be to give Keir Starmer back the driving seat on Brexit, but I fear Corbyn is just too keen on Brexit happening to do that. As a result, Labour have given the new party the opportunity to eat into Labour's support. It is almost certainly Corbyn's biggest mistake since he became Labour leader. *** Postscript (23/02/19) I have had a lot of responses saying that he is just following conference policy. It is the perception of voters that matter here, but on that particular issue see this letter from the party members who helped draft that policy.